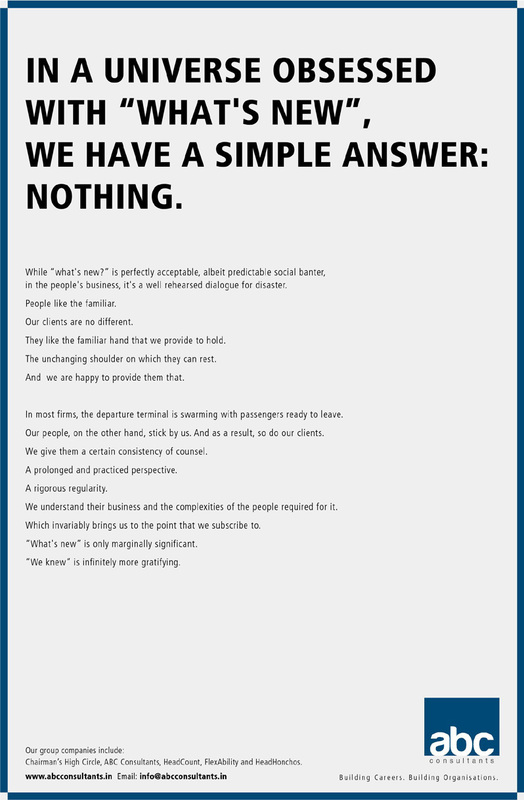 Brand Campaign: We have a simple Company Policy Divide and rule. Brand Campaign: In a universe obsessed with What's new, we have a simple answer: Nothing. 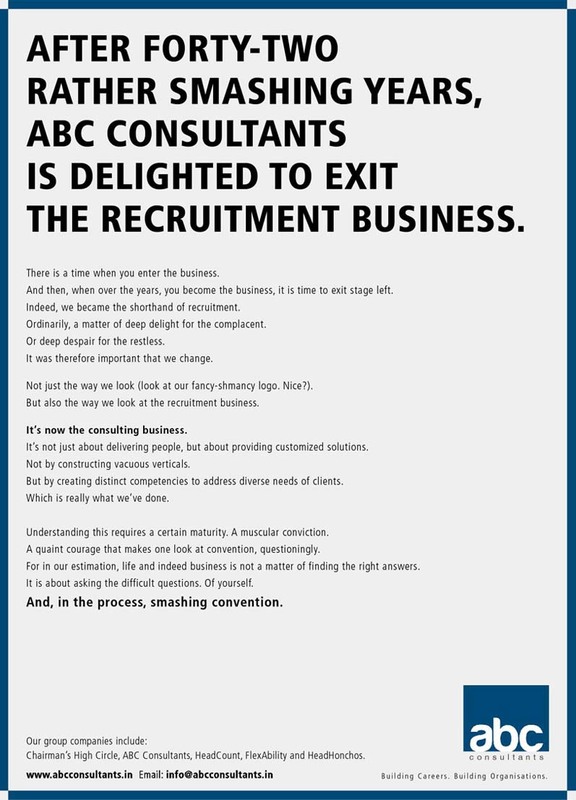 Brand Campaign: After forty-two rather smashing years, ABC Consultants is delighted to exit the recruitment business.